Reviews of the Sony A5100 from around the web. 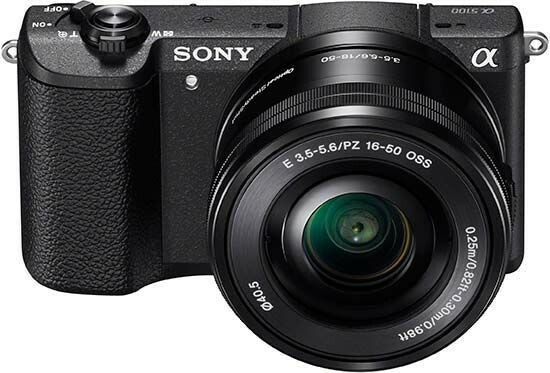 Sony is slowly replacing many of the cameras that used to be branded with the NEX moniker, and the A5100 is the replacement for the NEX-5T. Although the camera is the same shape as its predecessor, Sony has fitted it with the same excellent 24.3 million pixel sensor and Bionz X processor as found in the A6000. Sony’s latest compact camera model, the Sony Alpha 5100 features some of the Japanese firm’s latest technology, including the 24.3-million-pixel Exmor APS HD CMOS sensor, with an sensitivity range of ISO 100-25,600 and the Bionz X processor seen in the more advanced Sony Alpha 6000. That camera’s 179-point hybrid AF system has also made it inside the Alpha 5100’s compact frame, delivering super-fast autofocusing – claimed to be as quick as 0.06secs – making it one of the fastest cameras currently on the market. The Sony Alpha A5100 is an update to the Sony Alpha A5000, and is one of the smallest APS-C sensor mirrorless cameras with a built in flash. The updated A5100 adds phase-detection focus, a touch-screen, as well as a new 24.3 megapixel sensor, instead of the 20.1 megapixel sensor on the A5000. The Sony Alpha A5100 is priced at £549 (RRP) with the compact 16-50mm lens shown here. The camera features a tilting 3inch touch-screen and ISO sensitivity is manually adjustable up to ISO25,600.